2016 Chevrolet Camaro Breaks Cover! The wait is finally over. 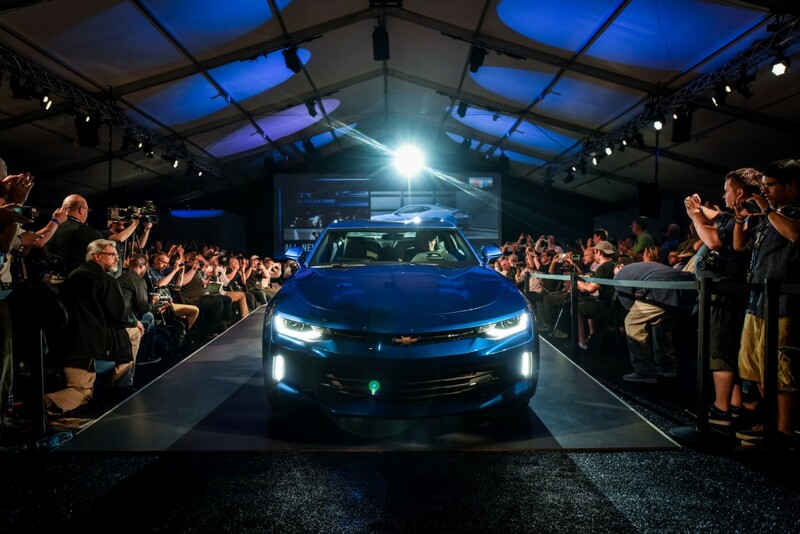 After Chevy teased us with some silhouette pictures and rumors, the automaker revealed the 2016 Camaro to the public at Detroit Belle Isle. For your information, the day before it’s officially revealed the pony car leaked on CNBC’s show. So, what’s the different with the previous generation? Can it beat Ford Mustang as an eternal rival? So, the 2016 Chevy Camaro was build on a new platform. It’s based on Alpha rear-drive platform which is used to build Cadillac ATS. So, I expect its handling is good (ATS handling is almost as good as BMW 3-Series). Moreover, the latest Camaro is lighter, thanks to aluminum that’s used for instrument panel and front suspension links. Meanwhile for the rear, Chevy put steel rear suspension links with lightening holes. The result is the car is 90 kg lighter than its predecessor. Its dimension is 57 mm shorter (4,784 mm), 20 mm narrower (1,897 mm), and 28 mm lower (1,348 mm). It means that New Camaro is slightly smaller the fifth generation. How about the exterior design? Up front, it comes up with latest Chevy’s design language. But it looks more dynamic and aggressive. Following the trend, the headlights is integrated with LED Daytime Running Lights. For RS and SS model, you will get Xenon lights, while for base model will get halogen lights. The SS model gets honeycomb grille just like other sport cars, and RS model to get grille with horizontal lines which looks more elegant. Another difference between RS and SS, is its LED fog lamps that is placed vertically for RS and horizontally for SS. From side, Chevy’s designers changed the body line. Now, it looks sportier thanks to more sloping line in C-pillar. And we can see new 18- and 20-inch wheels design that’s wrapped with Goodyear tires. At the rear, its taillights come with new styling and now using LED. The sculpted rear bumper makes the pony car look muscular. The RS model will get sporty dual-exhaust, meanwhile SS model to get quad-exhaust. From the outside, now we can talk about the cabin. Its interior is completely new but still recognizable as a Camaro. From, instrument panel with dual-binnacle style which becomes Camaro’s identity. It features analog instruments, such as tachometer and speedometer. And between those instruments, there’s an 8-inch diagonal screen which will display navigation, car performance, and infotainment. Meanwhile in center cockpit, there’s another 8-inch display that shows the new MyLink system. Camaro offers LED ambient system integrated in the dashboard, door panels, and center console. Interestingly, it offers 24 different colors with fade and transition effect. The thing that people wait for about new Camaro is the engine. Under the hood, now for the first time Chevy offers 4-cylinder 2.0 liter Turbo powertrain produces 275 hp and 400 Nm of torque. If you don’t want drive a pony car with 4-cylinder (because you don’t want get mocked by your friends), there’s an all-new V6 3.5 liter producing 335 hp and 385 Nm of torque. 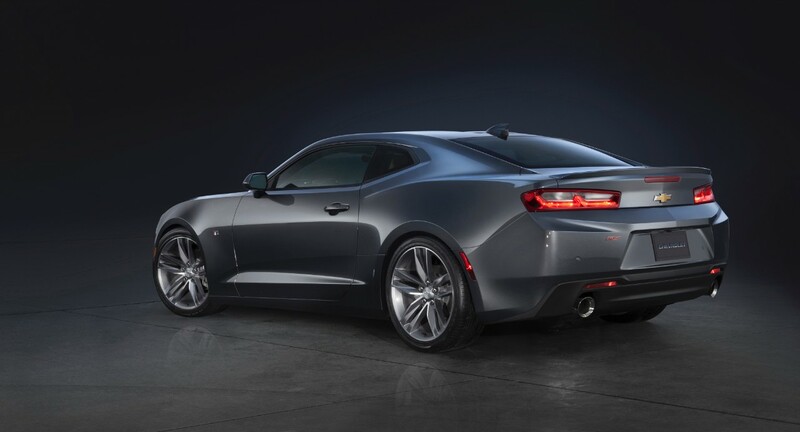 For those who fans traditional muscle car, Chevy offers SS with LT1 V8 6.2 liter that first introduced in Corvette Stingray. The machine can produce 455 hp and 617 Nm of torque making it the most powerful Camaro SS ever. All the engine is mated to 6-speed manual transmission or 8-speed automatic transmission. 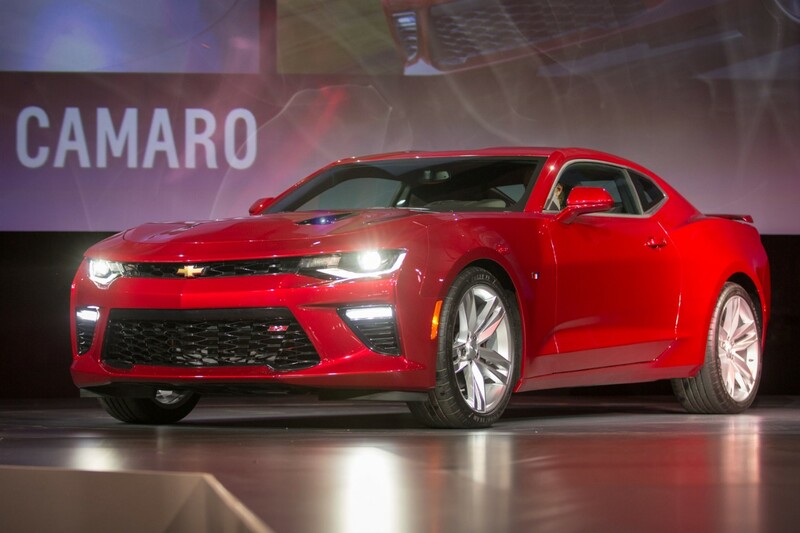 2016 Chevrolet Camaro will go on sale this fall in US.